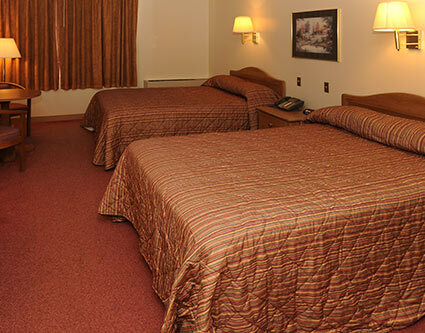 Comfortable overnight accommodations are available in our 74-room lodge. All rooms include: Individual heat & AC units, DirecTV, telephone & voice mail, alarm clock, iron & ironing board, and hair dryer. Guests can take advantage of complimentary swimming in our outdoor heated pool, use of the fitness center and access to our scenic Hiking/Biking trail. Golf package plans are also available. Our complimentary fitness center has state of the art equipment and is open daily for motel guests only. 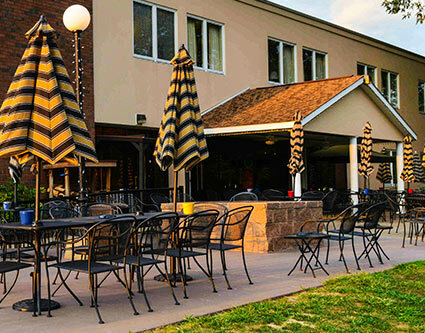 Also enjoy our Club Pub Restaurant & Sports Bar and pool. Prices include room, breakfast, taxes and gratuities (FOR SINGLE AND DOUBLE OCCUPANCY ONLY). Please NOTE: A major credit card is required to make a reservation. Cancellations must be made at least 72 hours prior to arrival, or you will be charged for the first night.